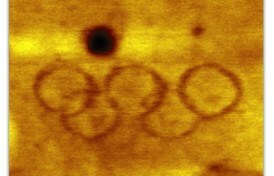 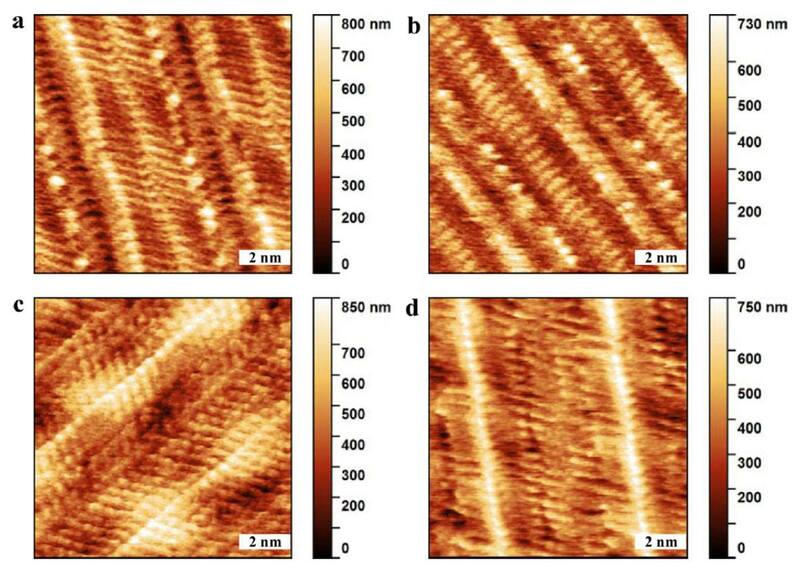 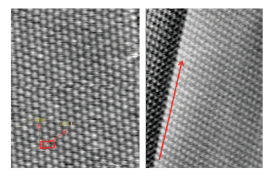 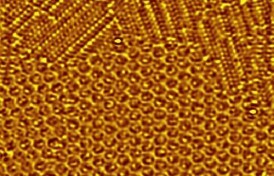 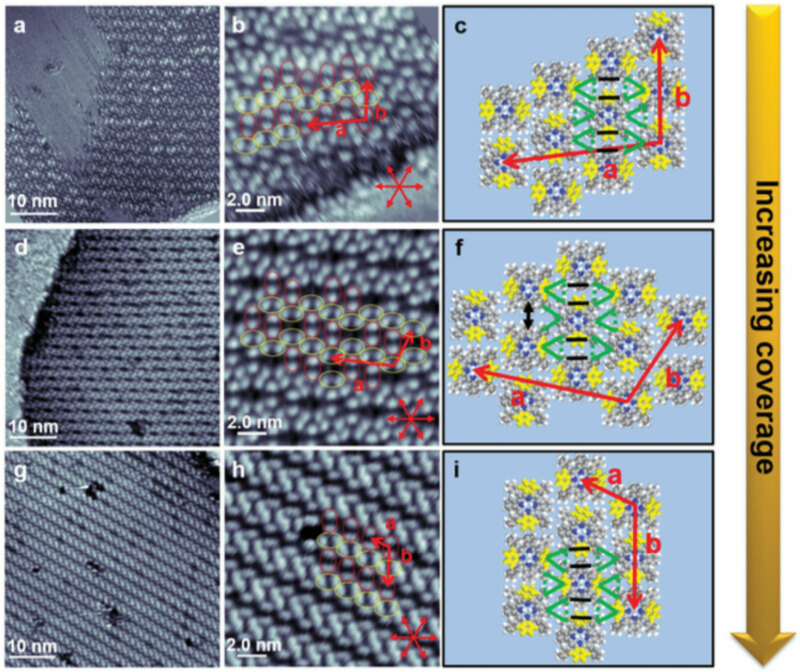 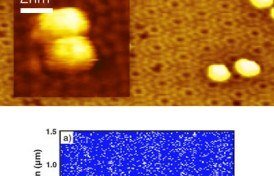 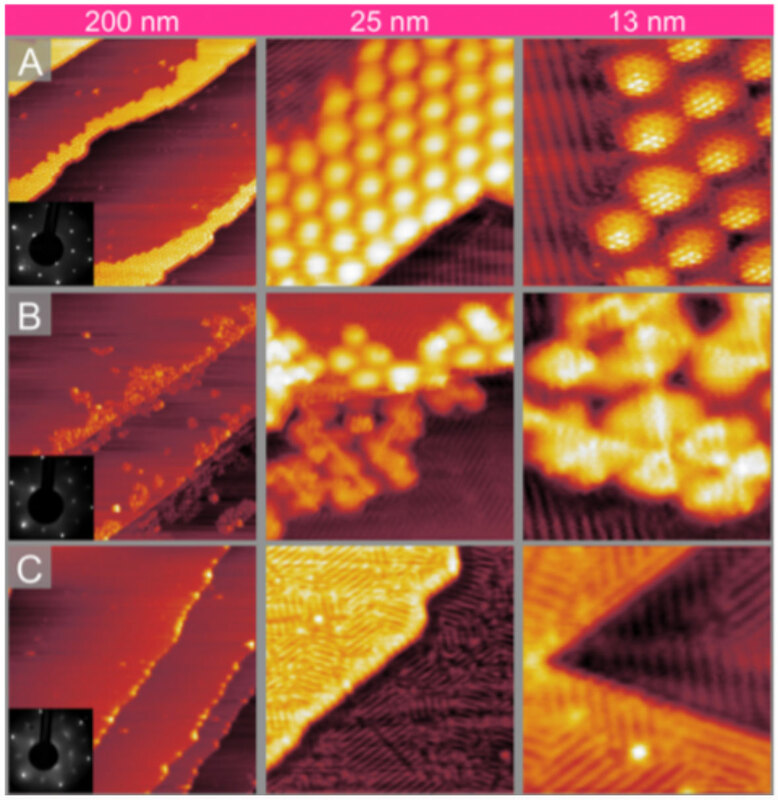 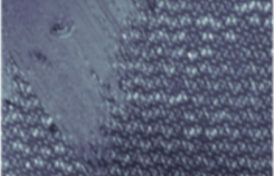 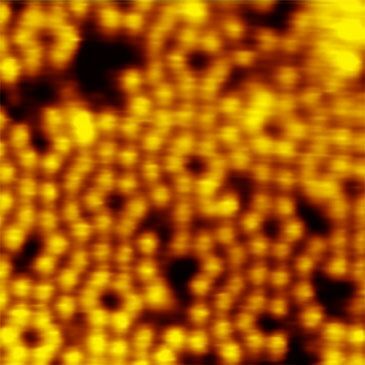 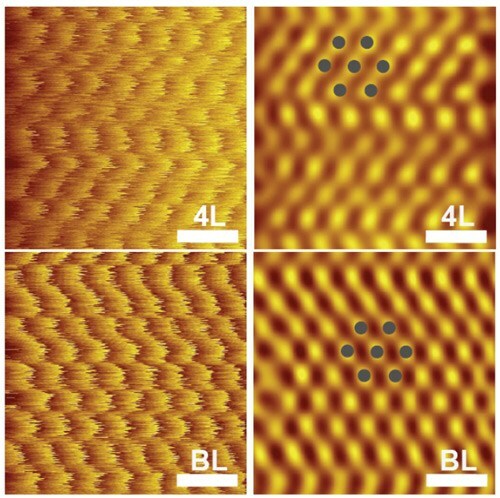 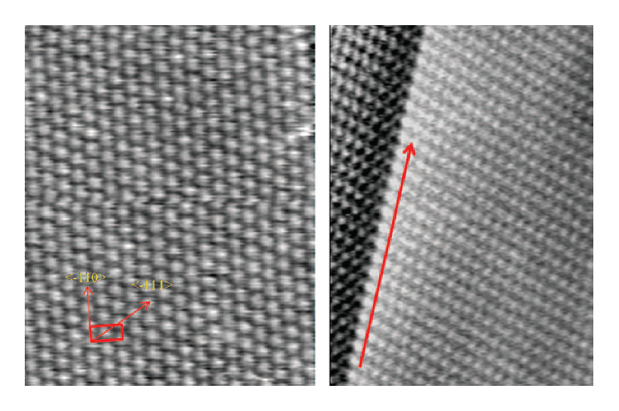 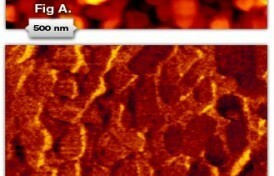 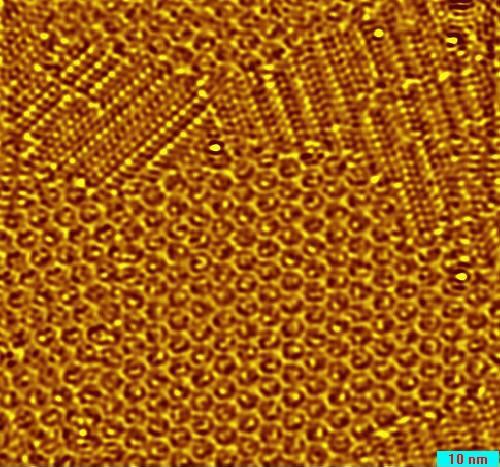 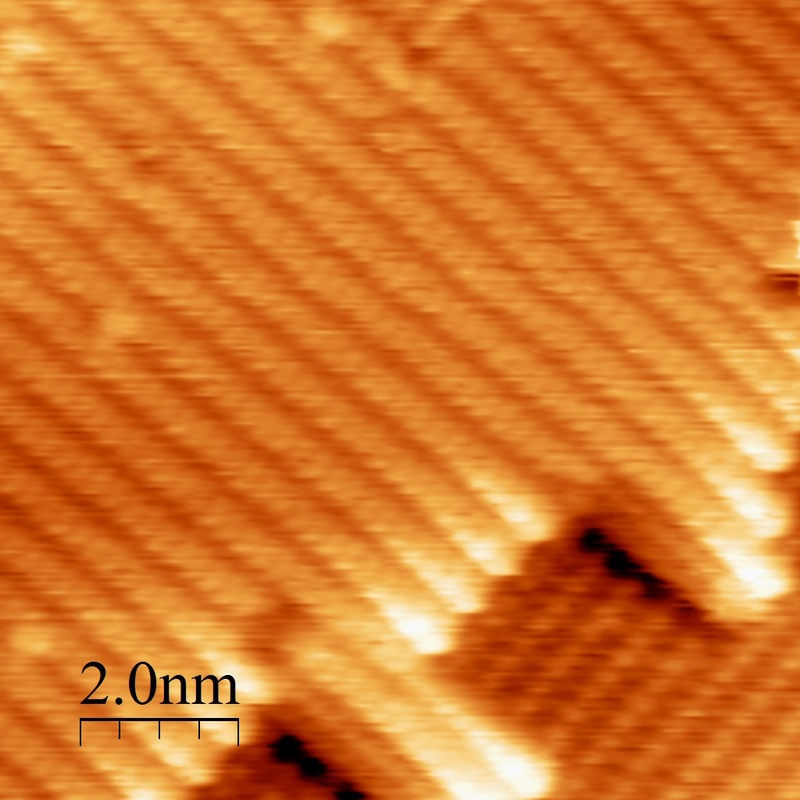 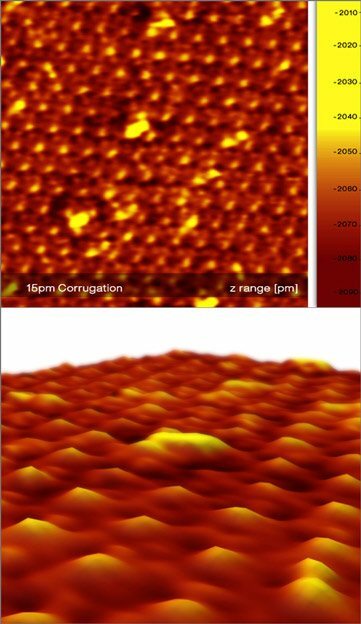 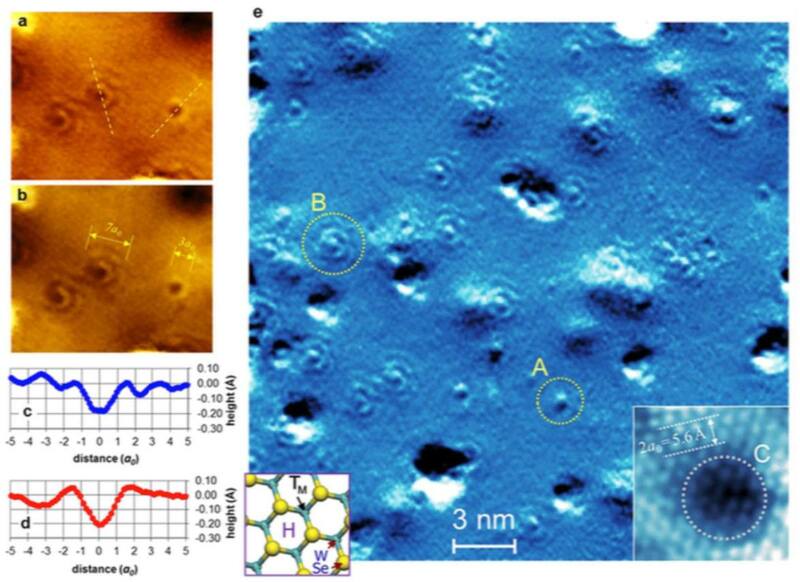 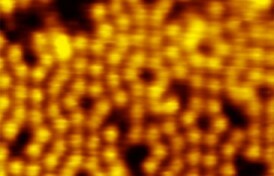 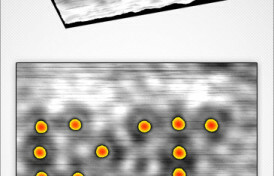 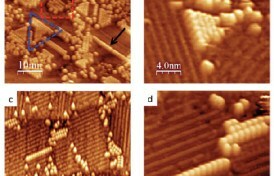 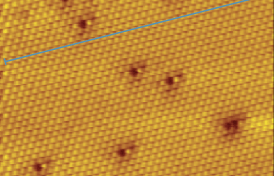 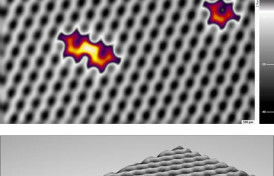 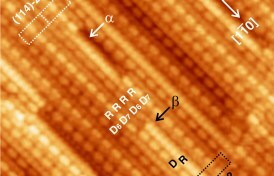 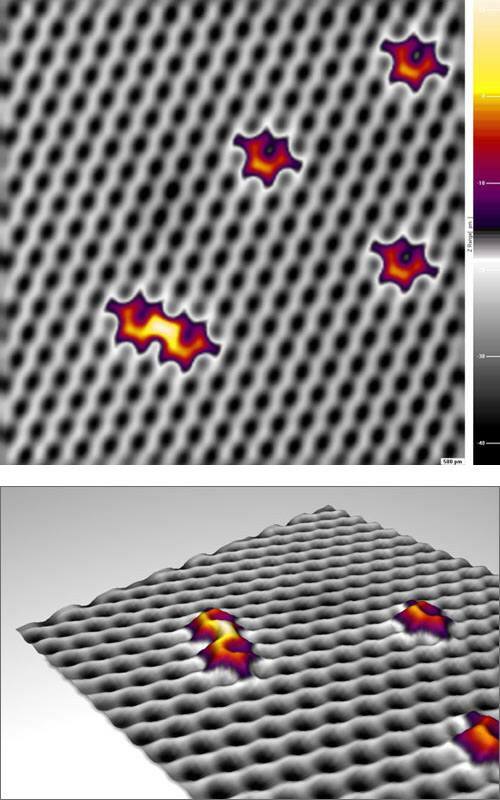 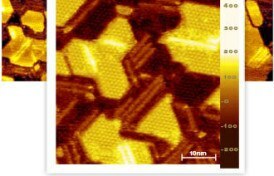 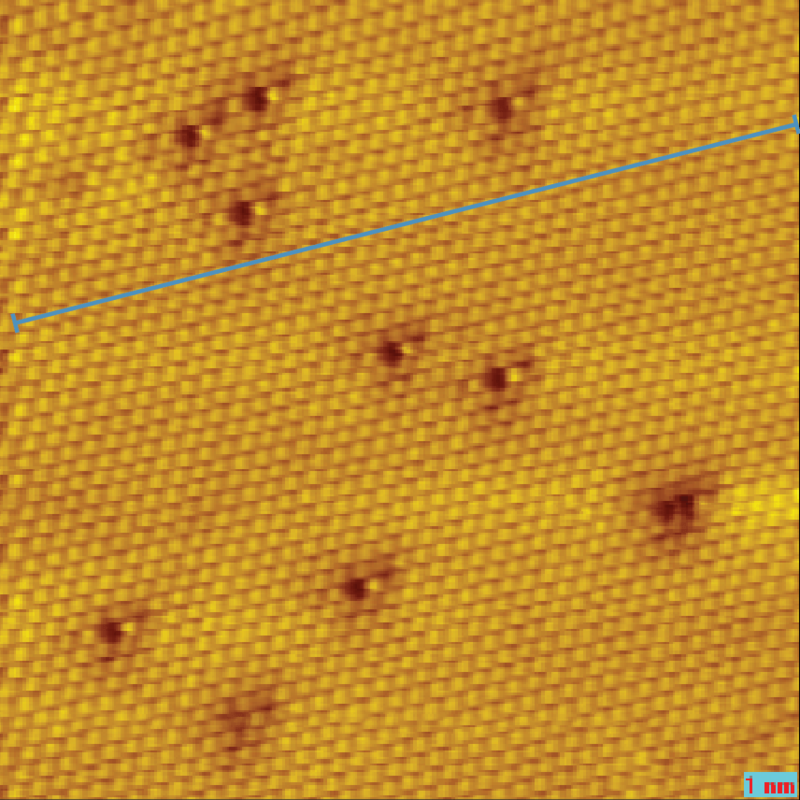 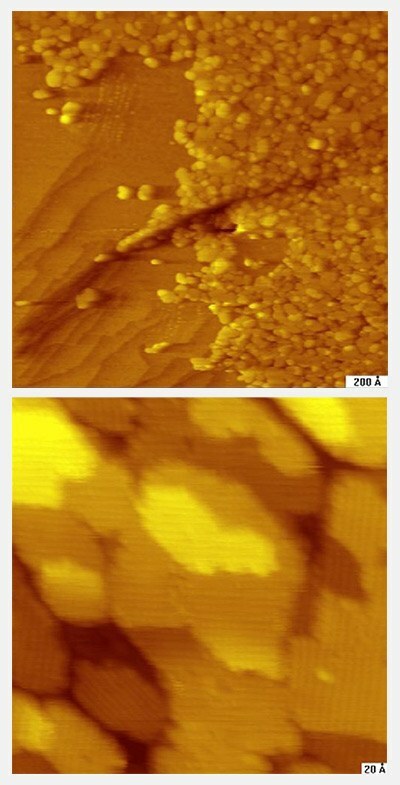 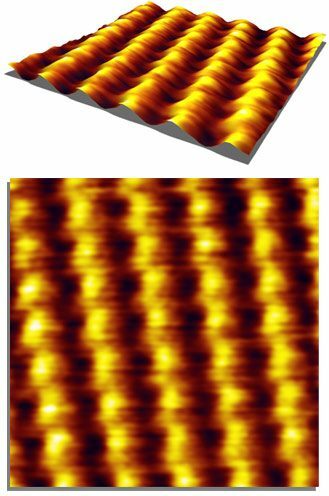 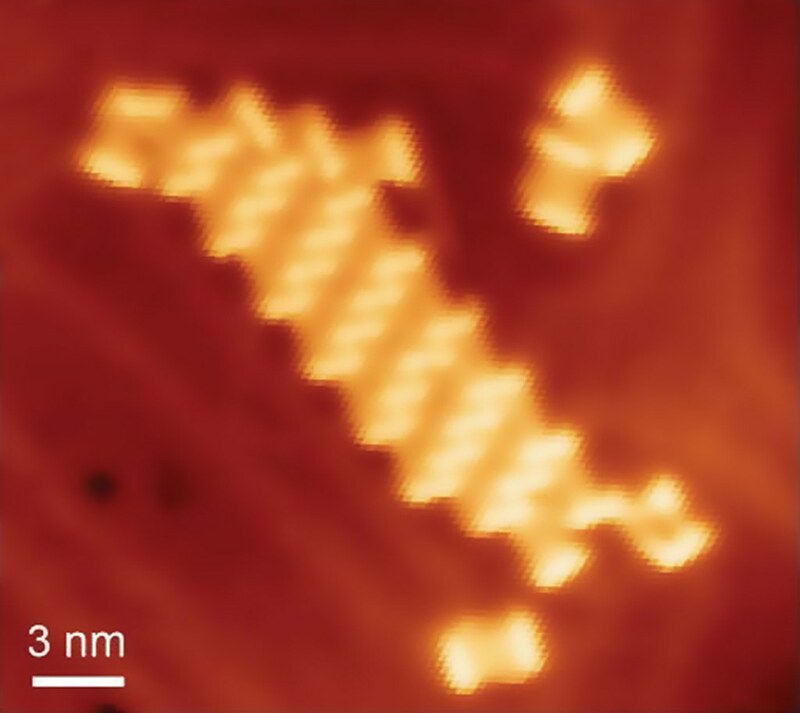 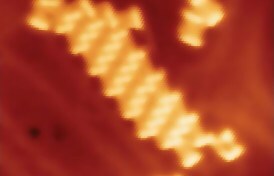 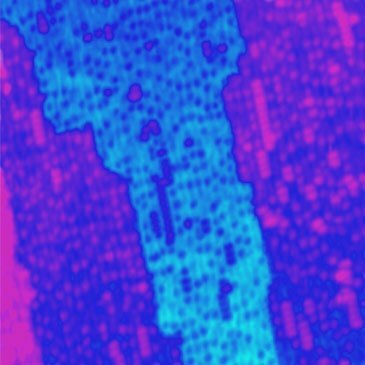 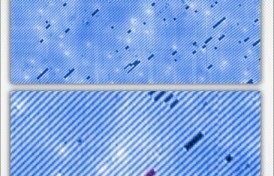 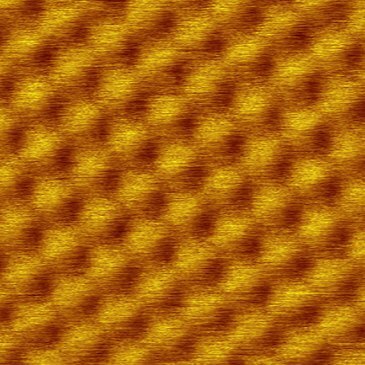 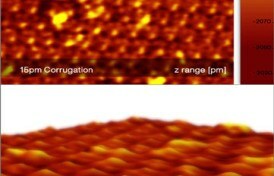 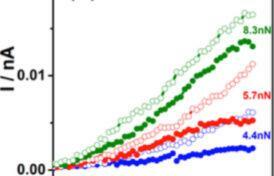 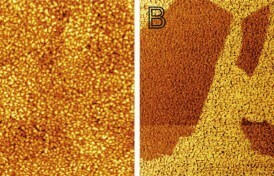 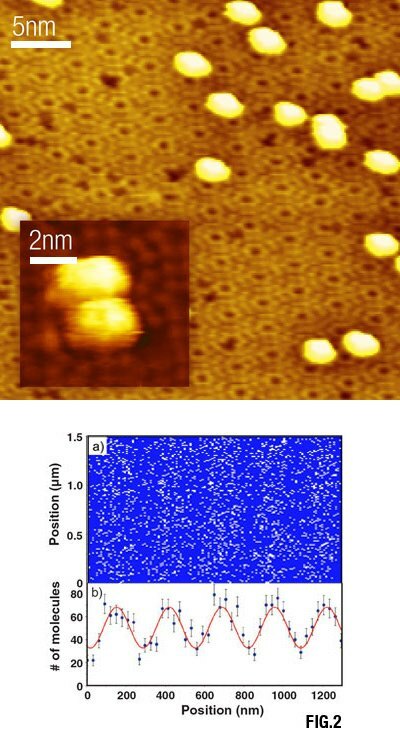 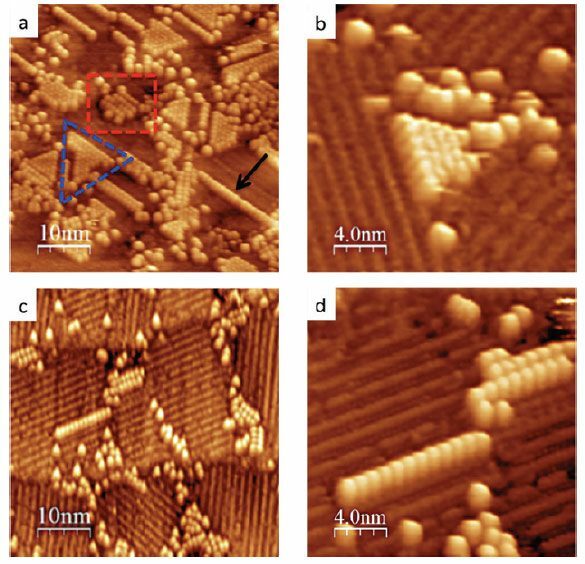 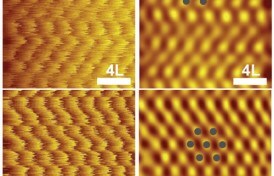 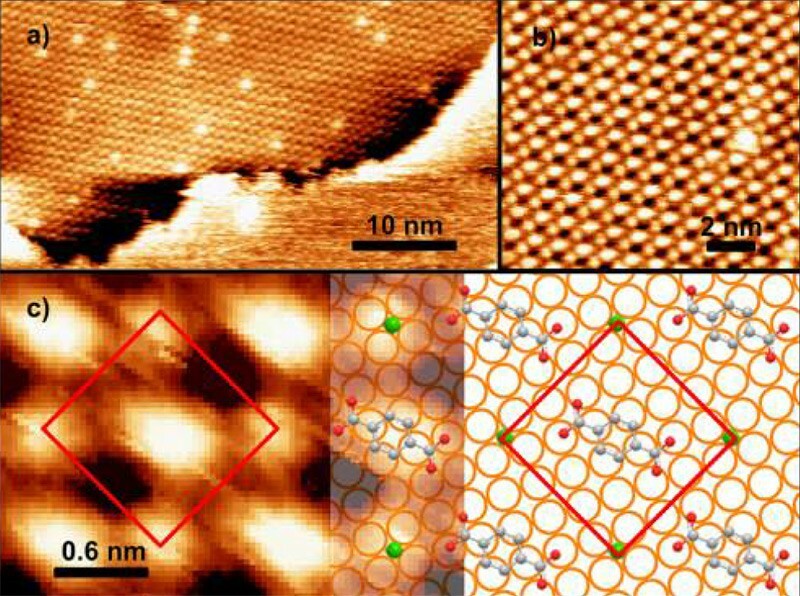 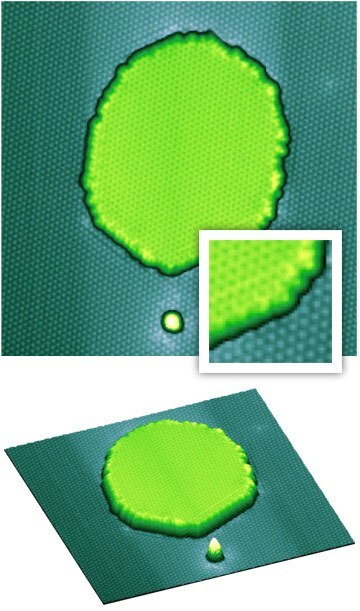 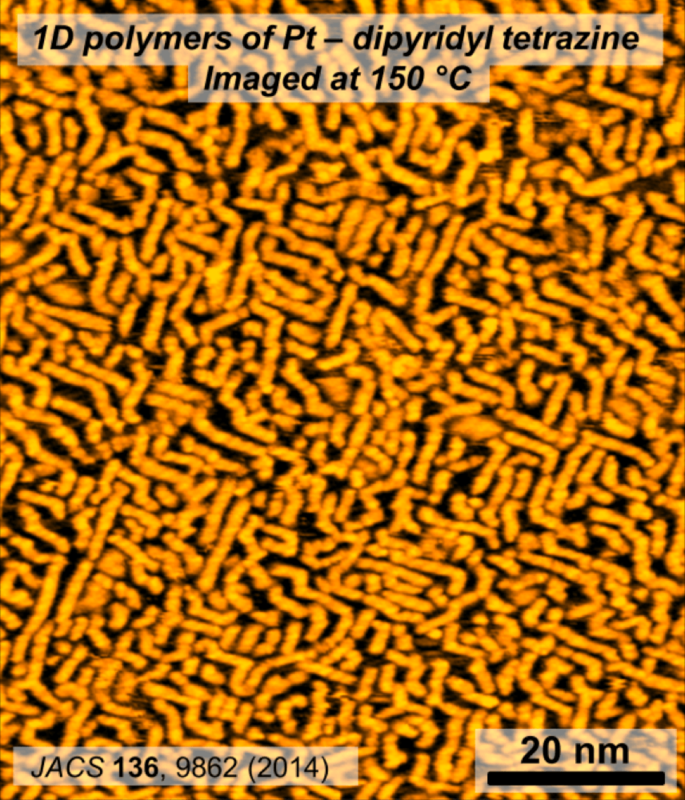 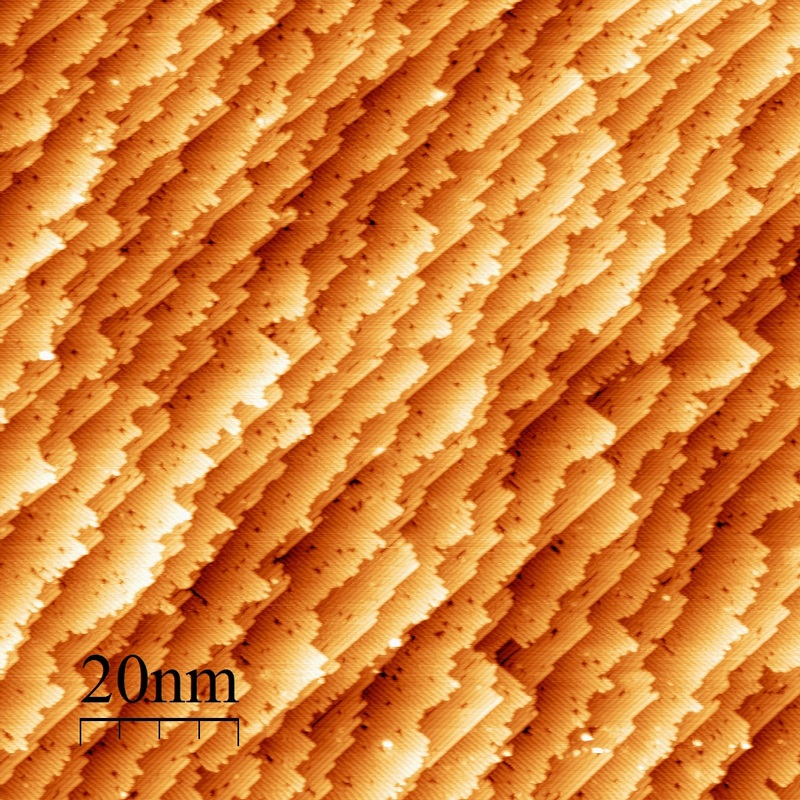 Ag(111) after reacting sulfur dioxide with the Ag(111)-p(4×4)-O surface oxide at 300 K. Surface sulfite orders as the (2√3×2√3)R30° hexagonal structures, and surface sulfate forms the stripe structures. 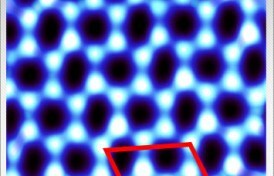 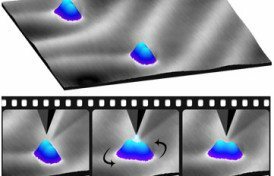 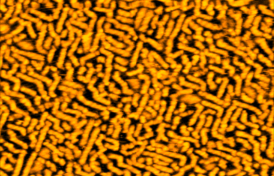 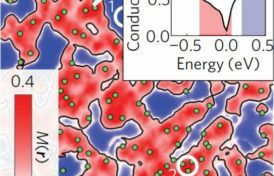 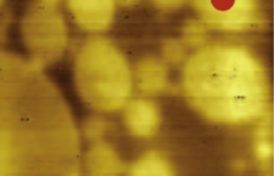 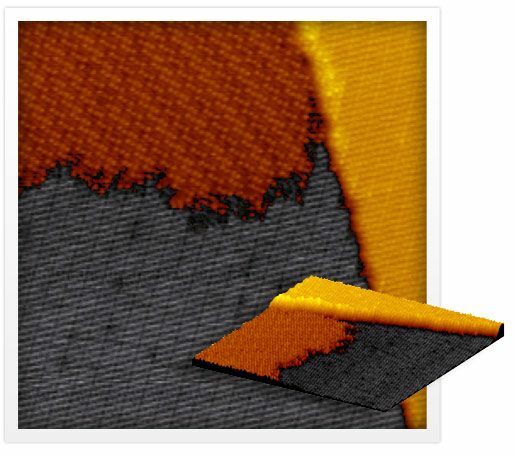 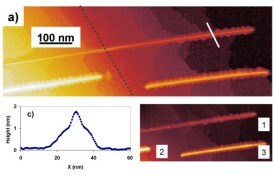 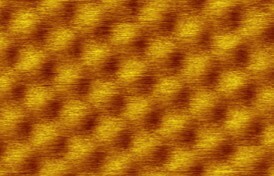 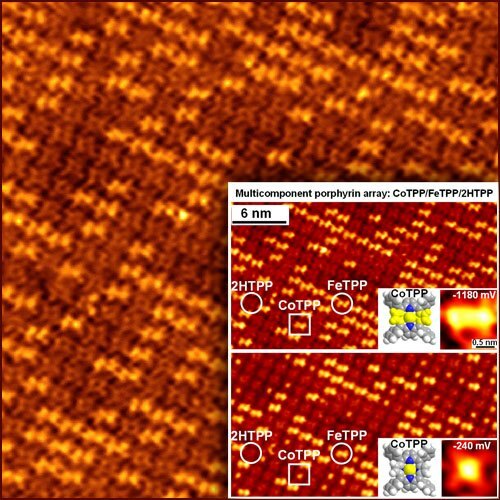 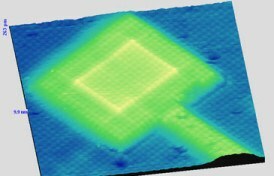 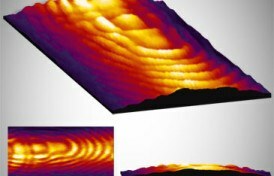 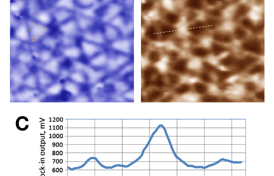 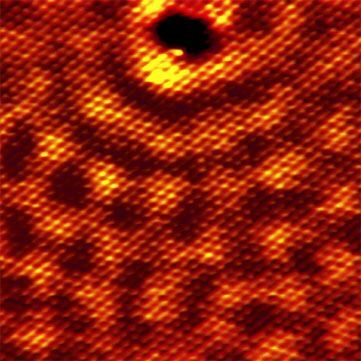 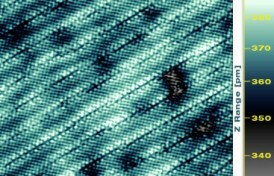 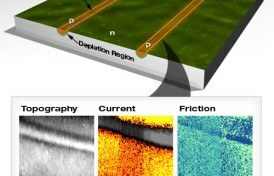 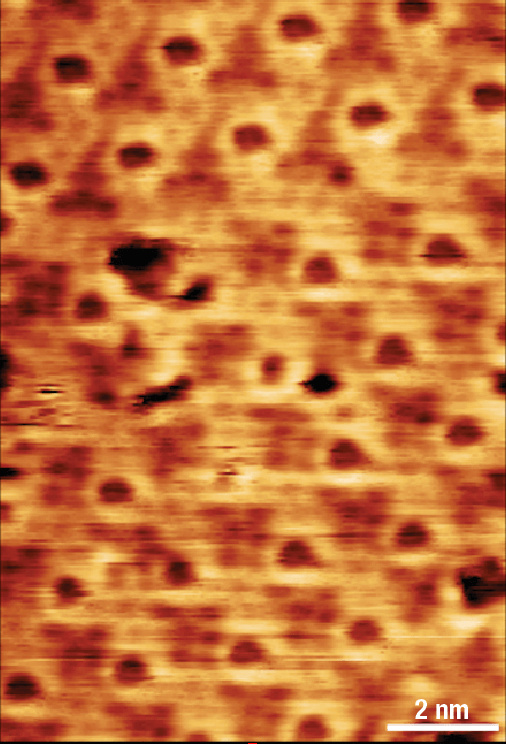 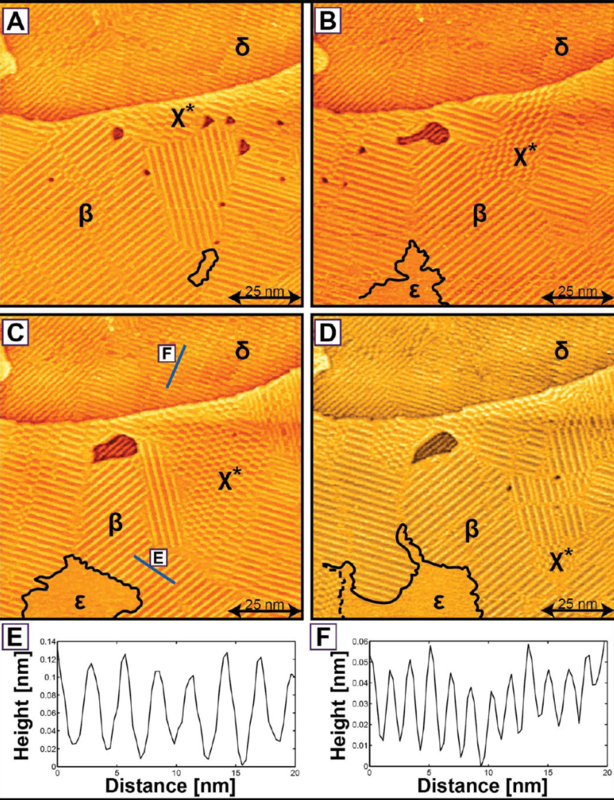 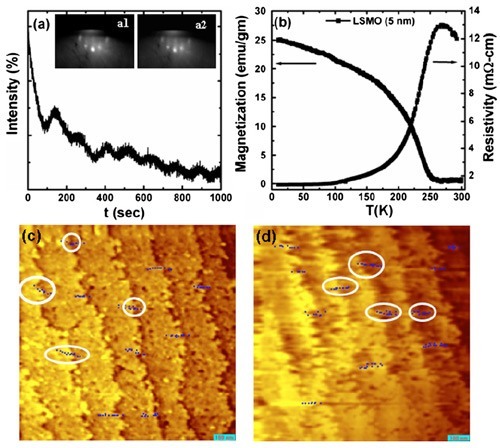 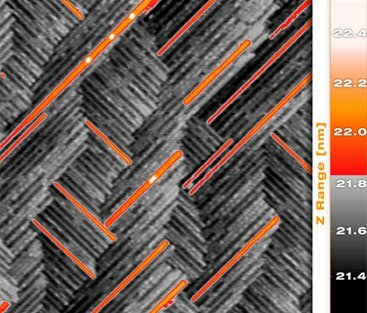 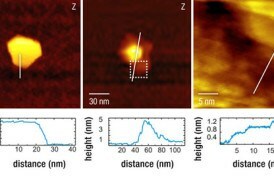 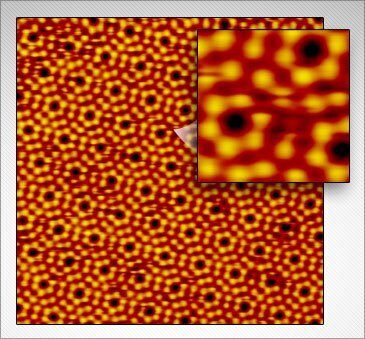 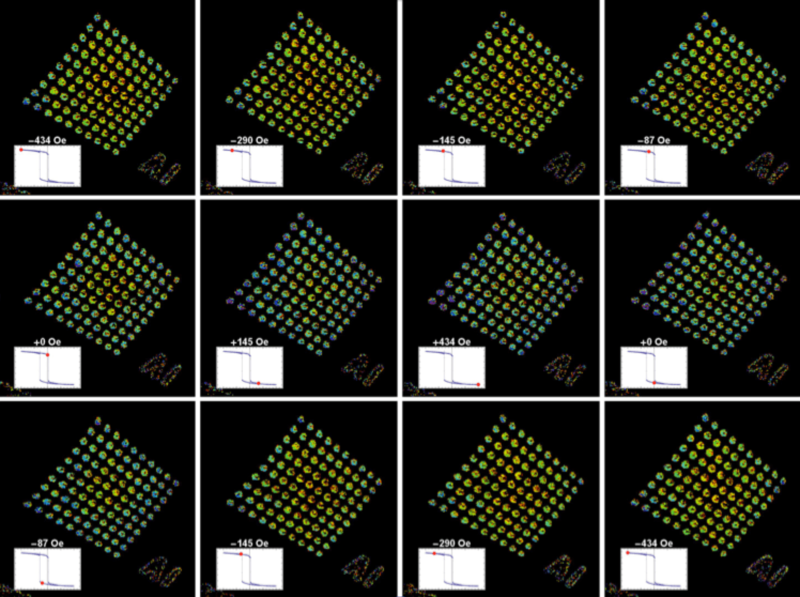 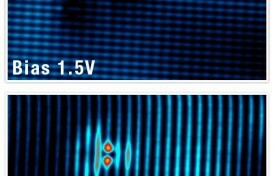 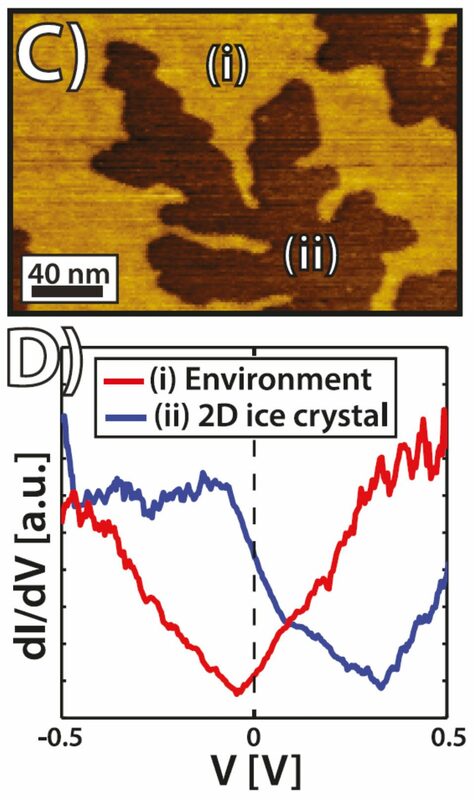 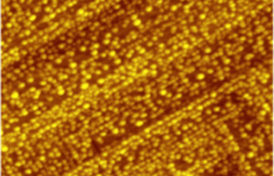 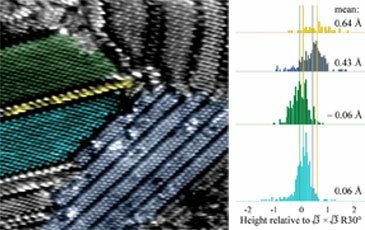 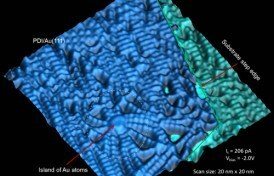 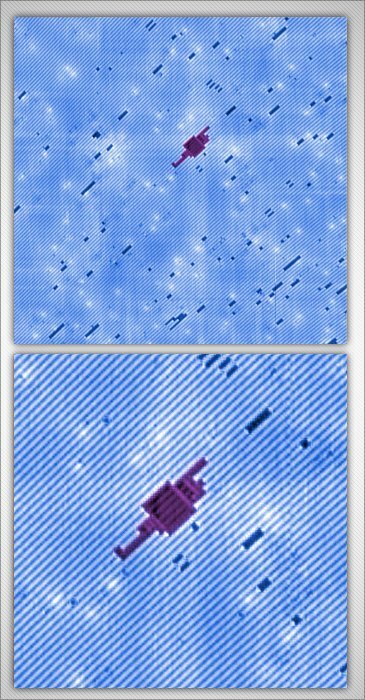 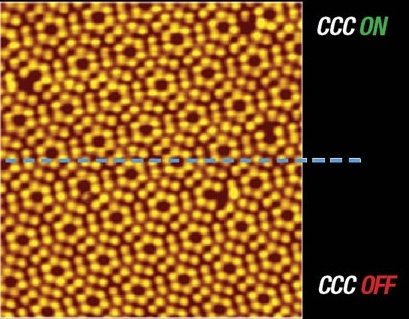 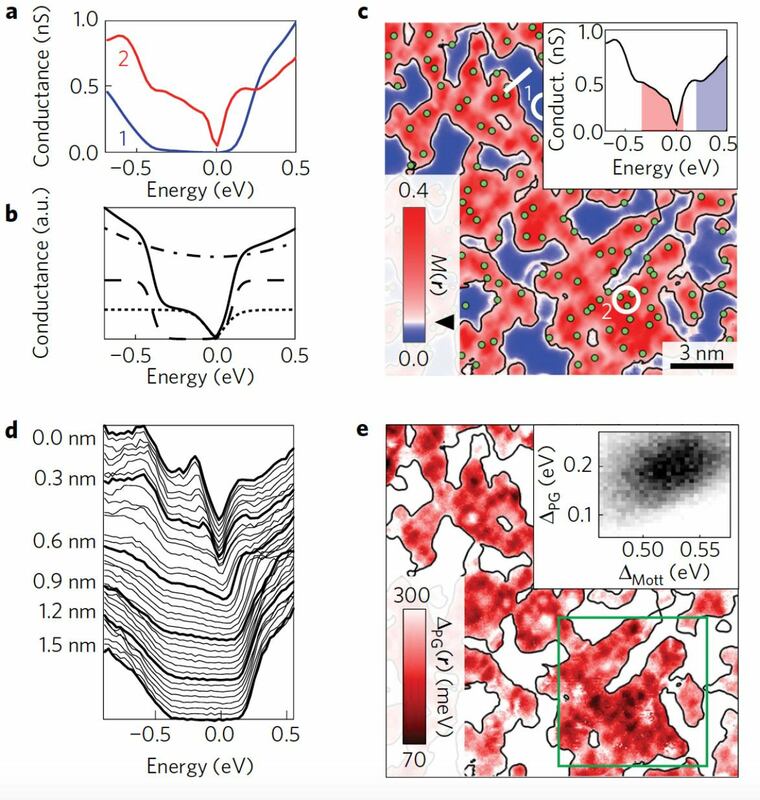 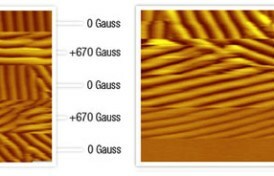 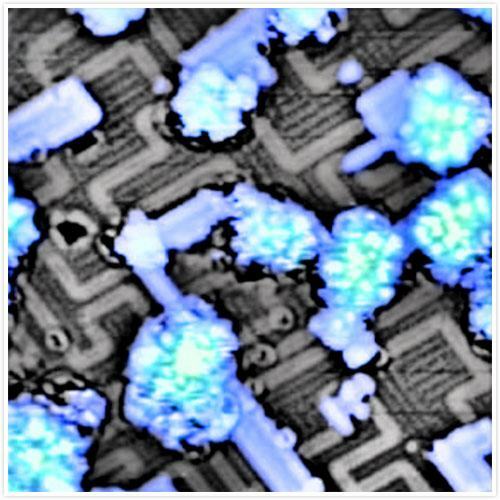 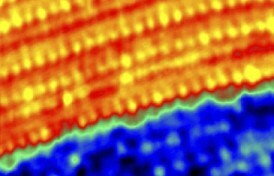 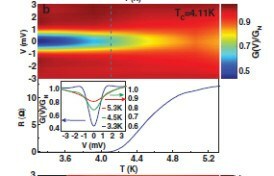 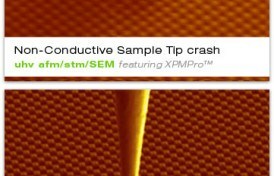 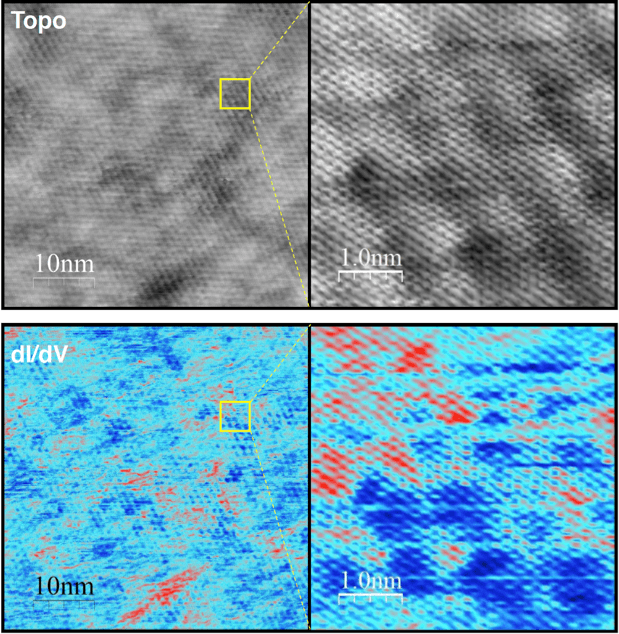 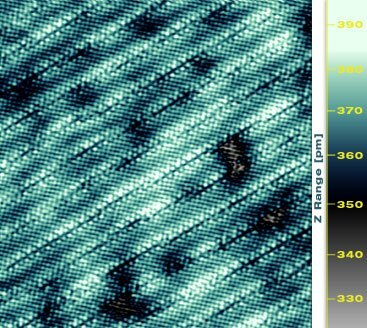 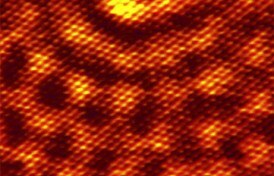 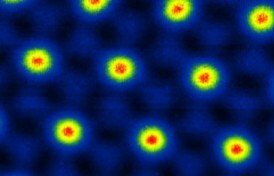 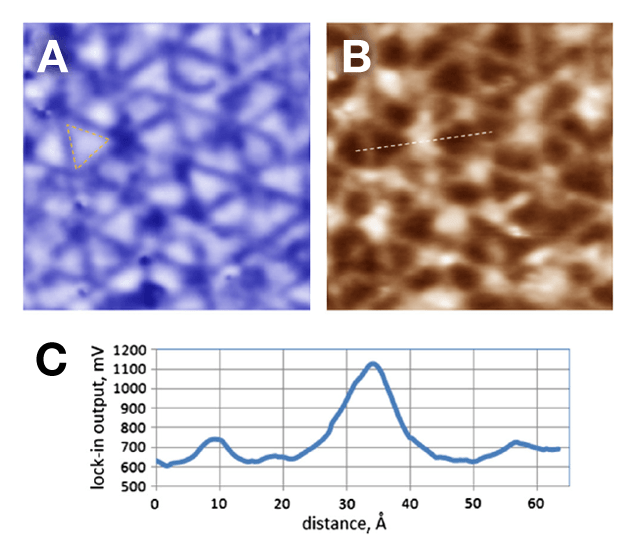 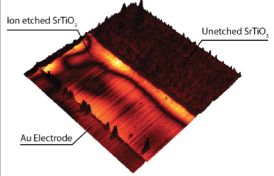 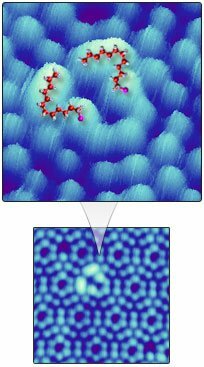 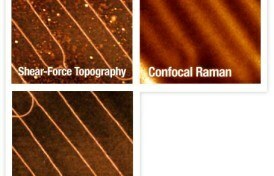 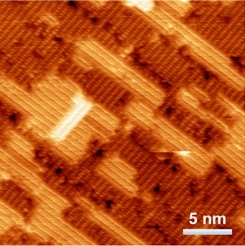 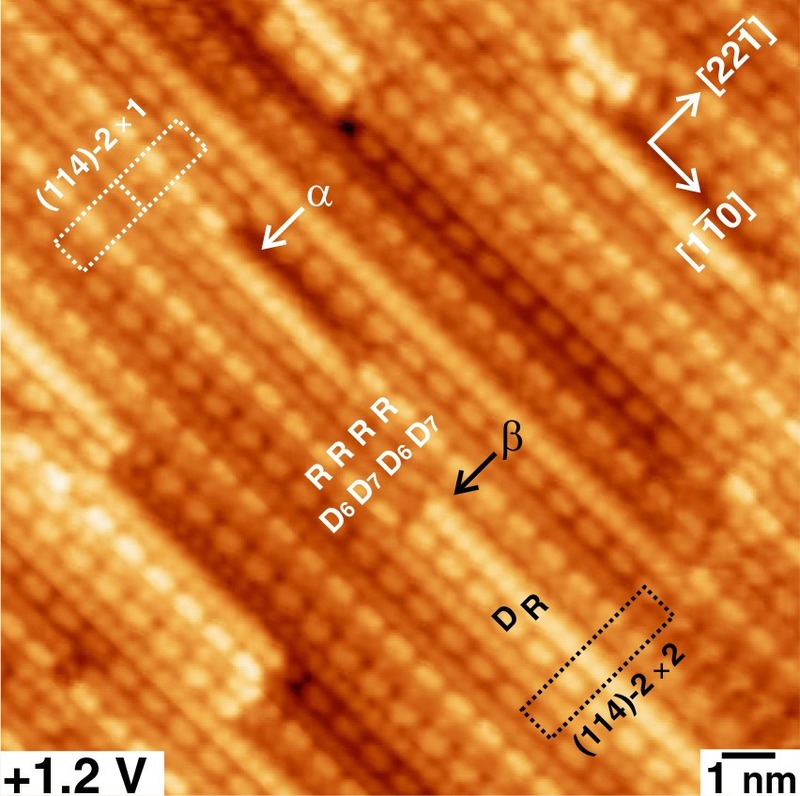 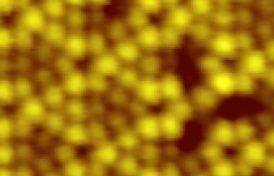 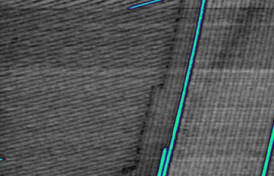 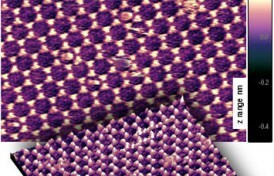 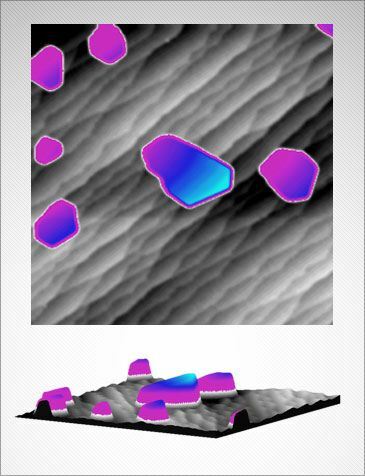 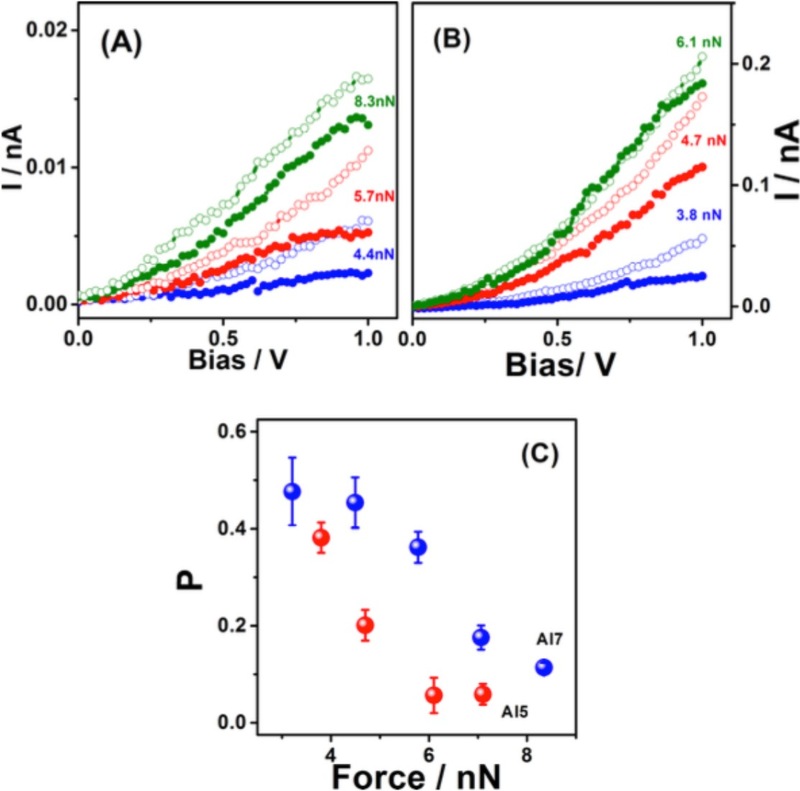 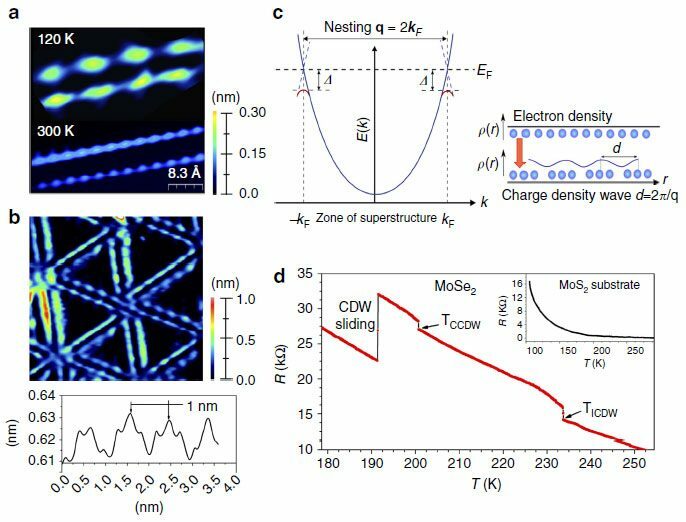 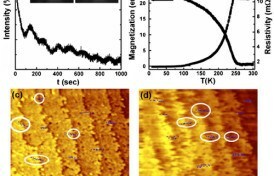 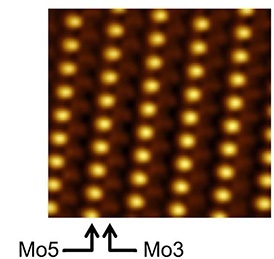 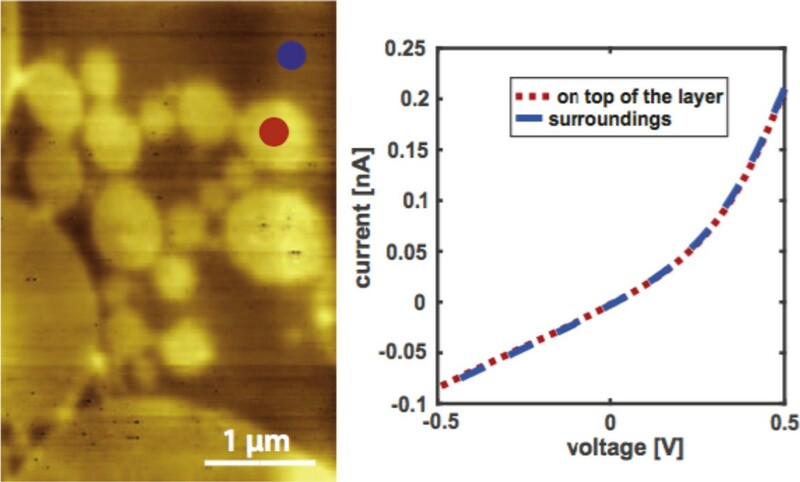 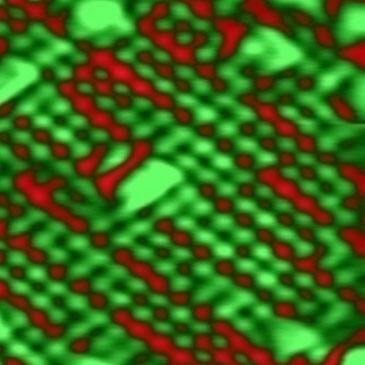 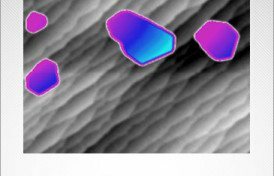 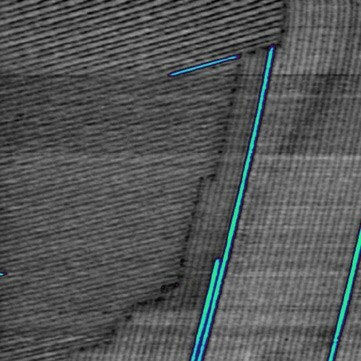 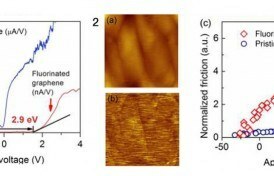 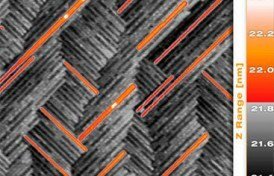 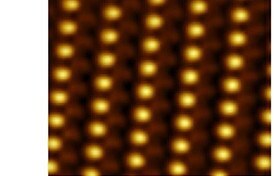 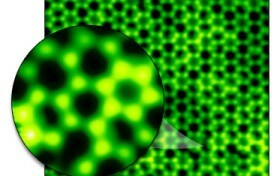 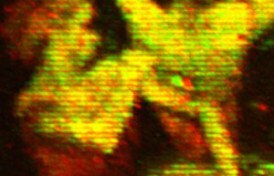 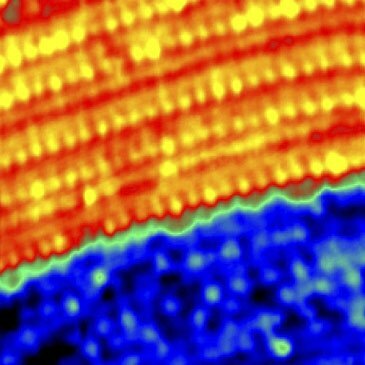 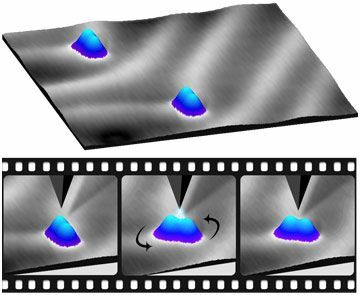 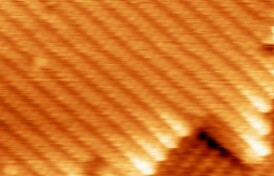 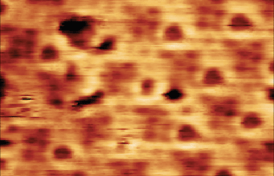 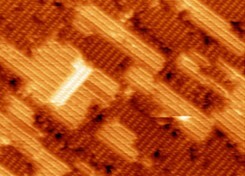 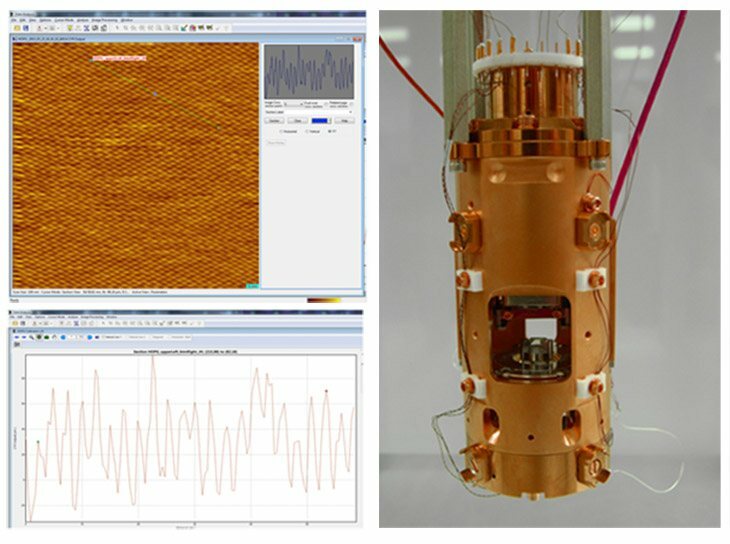 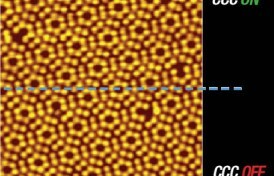 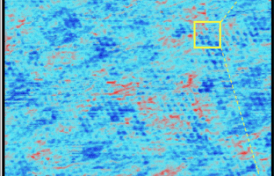 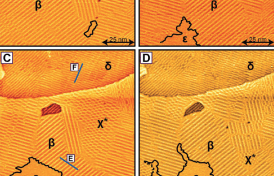 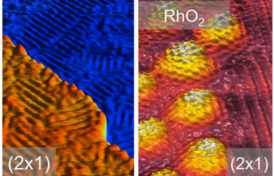 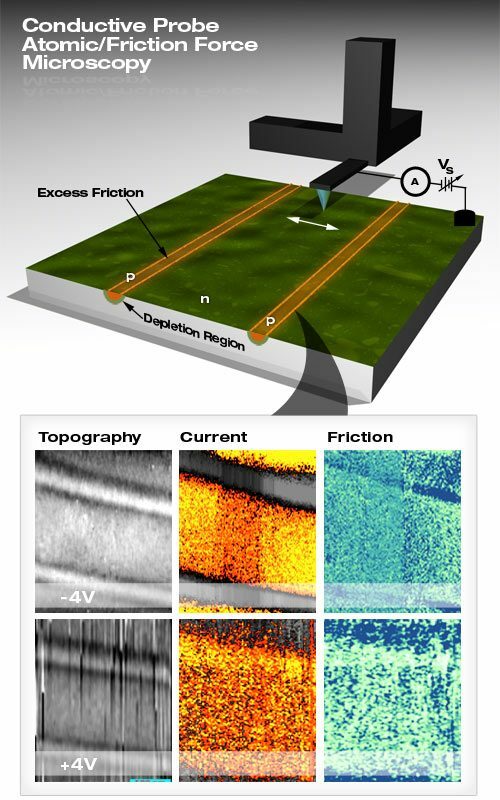 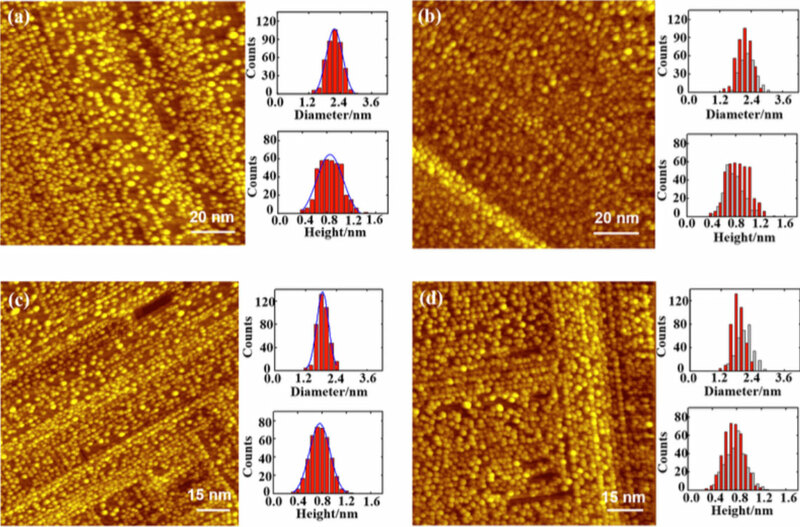 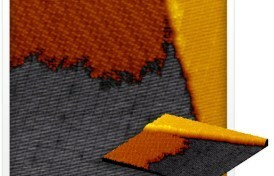 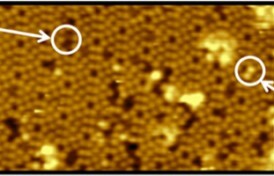 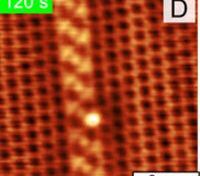 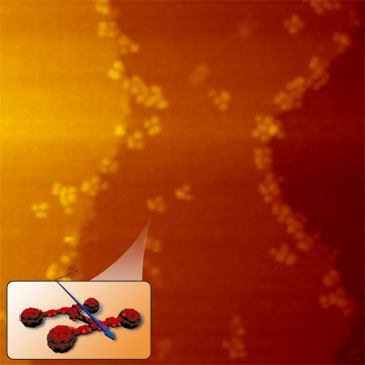 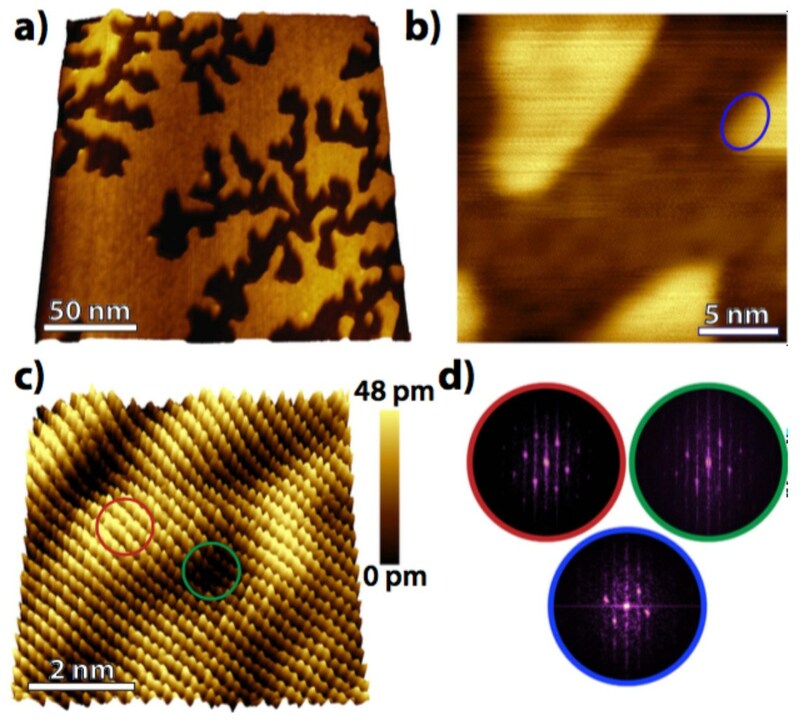 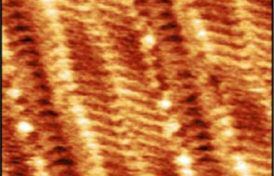 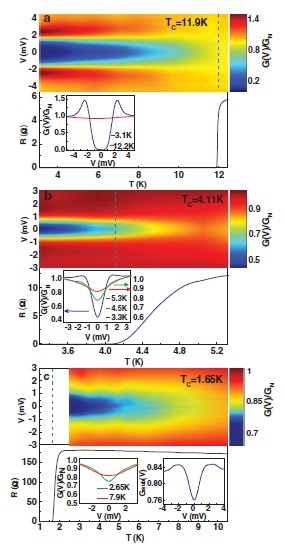 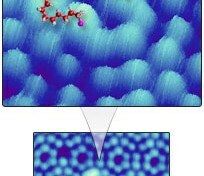 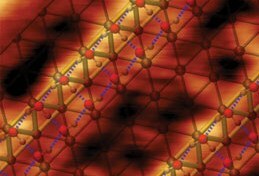 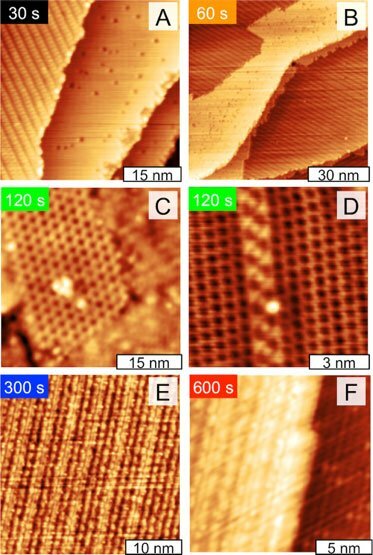 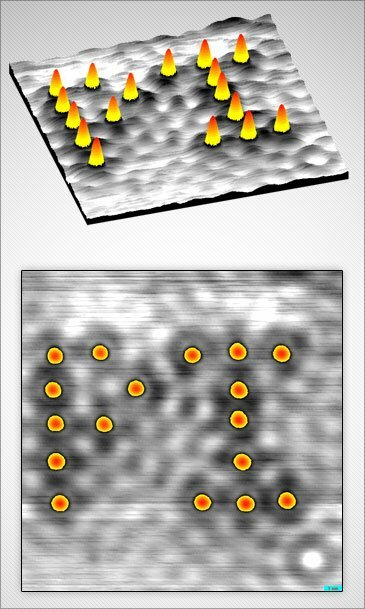 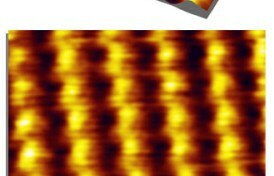 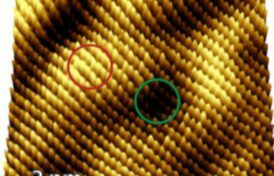 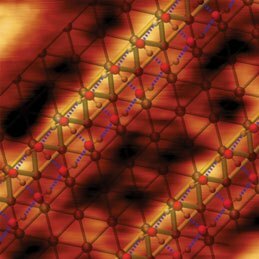 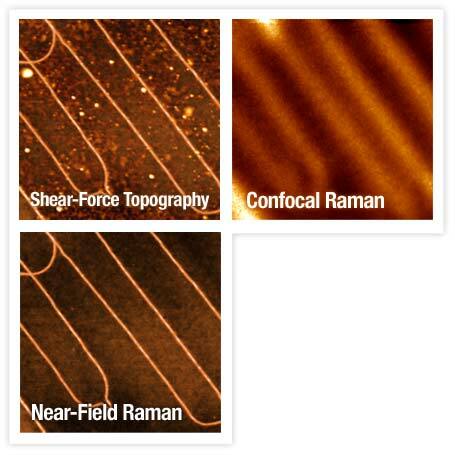 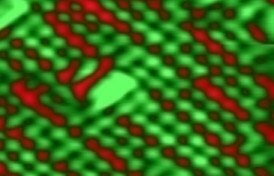 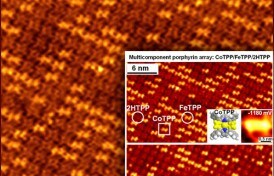 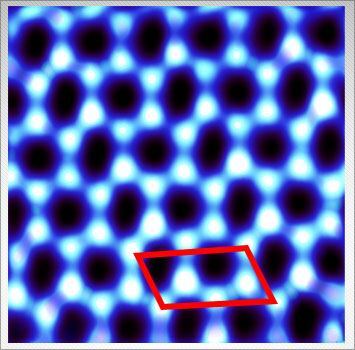 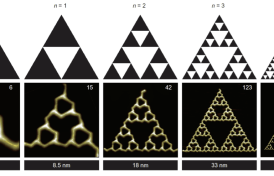 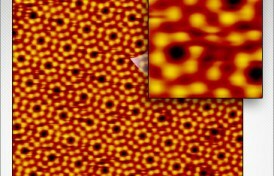 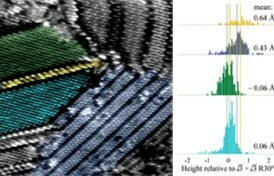 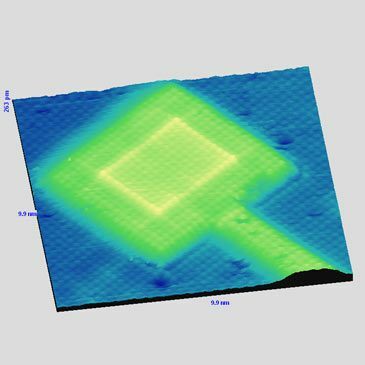 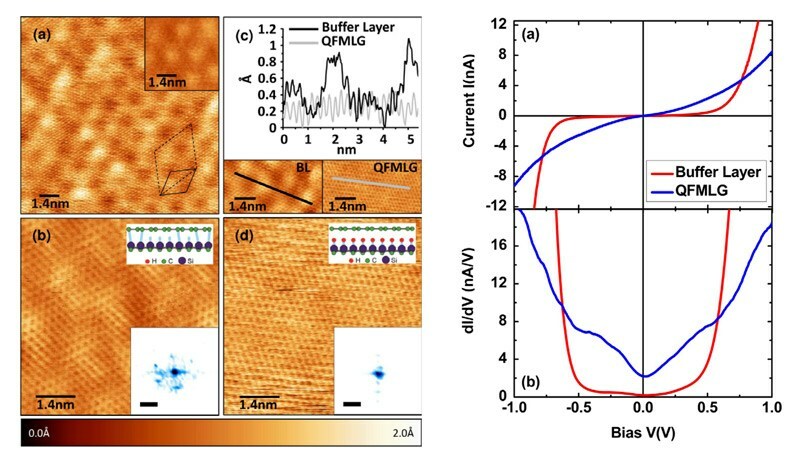 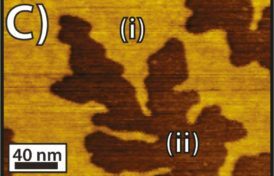 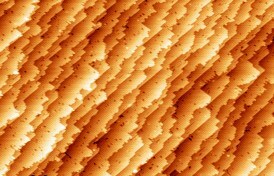 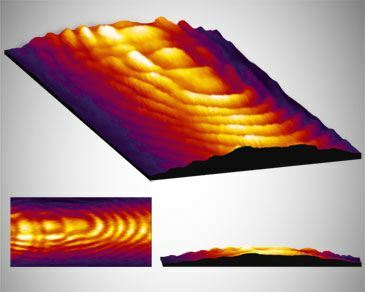 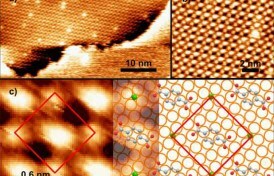 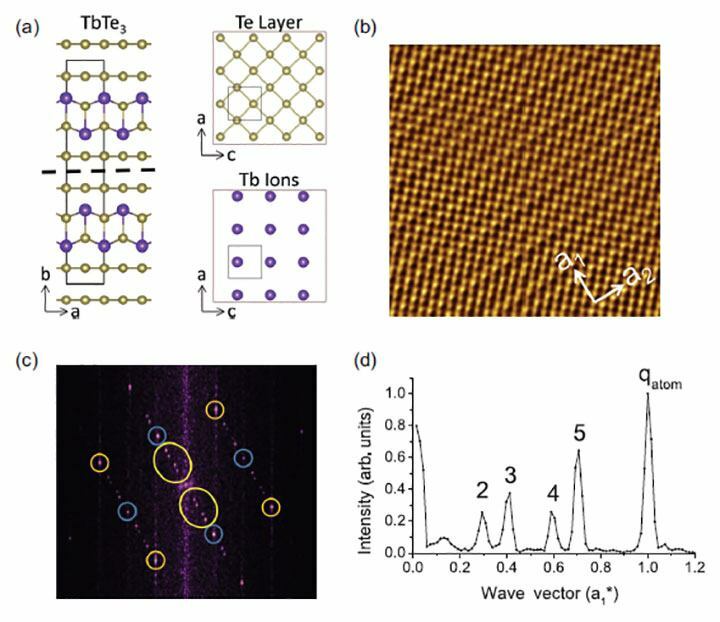 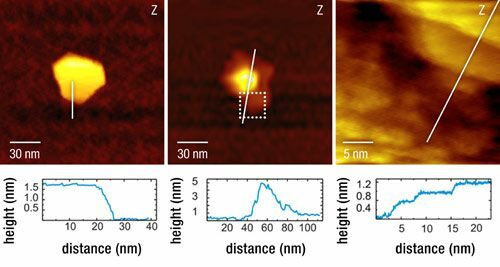 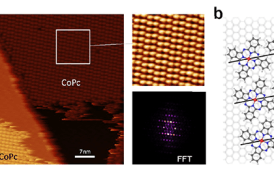 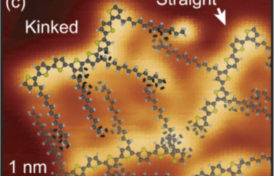 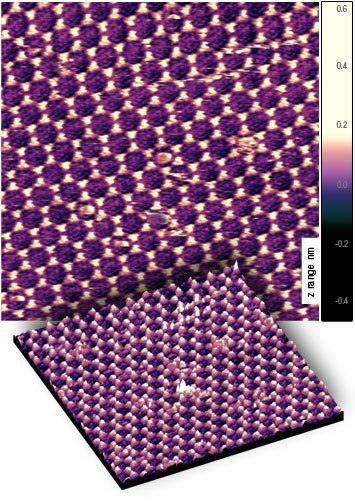 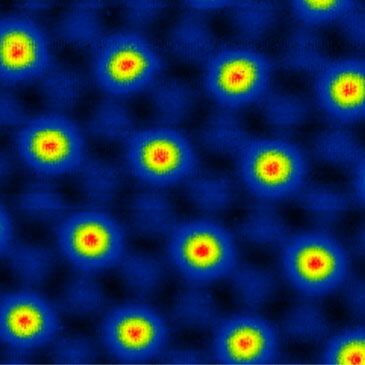 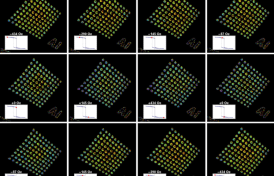 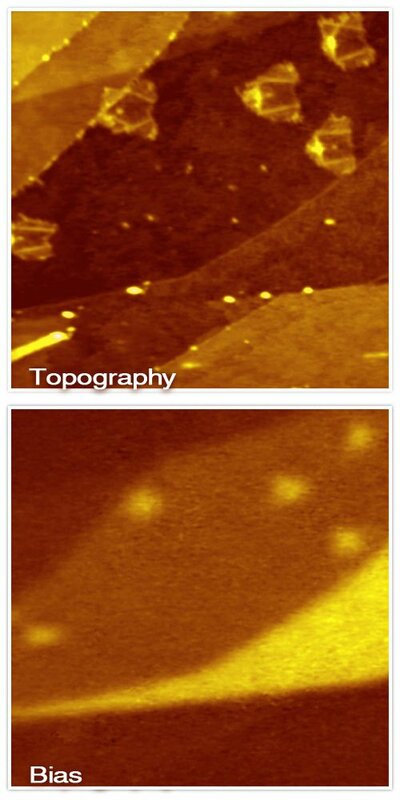 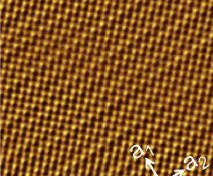 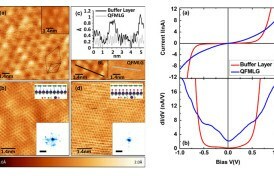 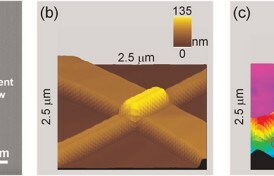 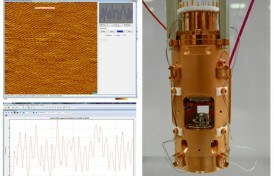 The topographic nanorestructuring of the surface in the reaction shows unambiguously the mass transport and the redistribution of the silver adatoms in the adsorbate layer. 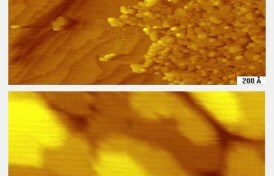 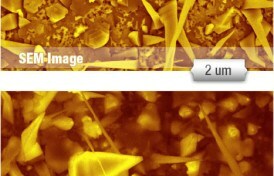 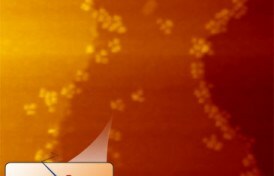 The structures of sulfite and sulfate intermediates all contain the incorporated silver adatoms. 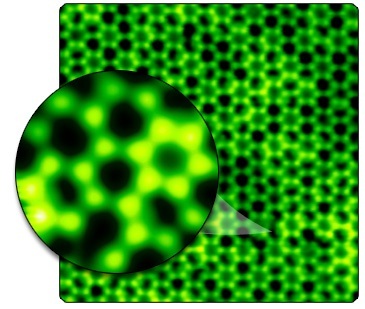 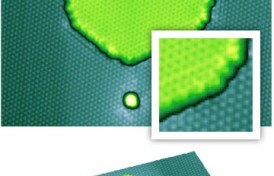 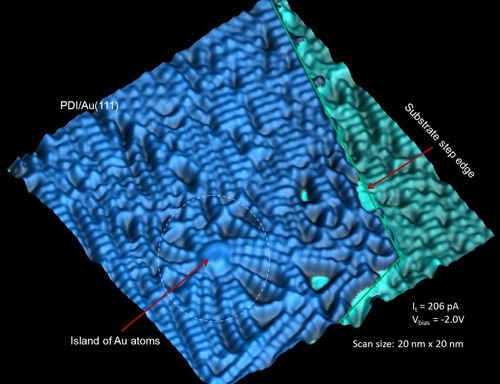 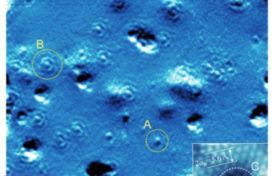 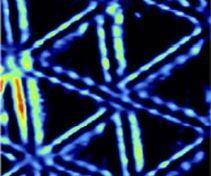 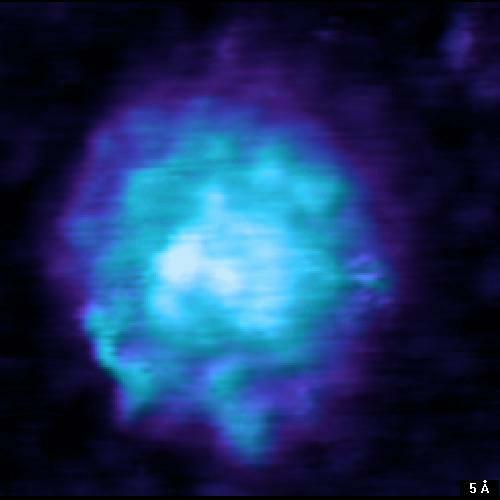 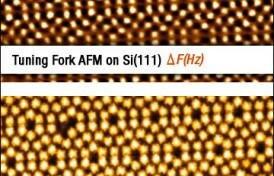 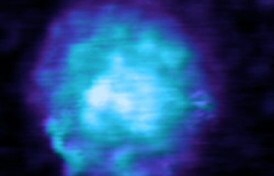 The monoatomic silver islands are formed by released silver adatoms in the original surface oxide layer.